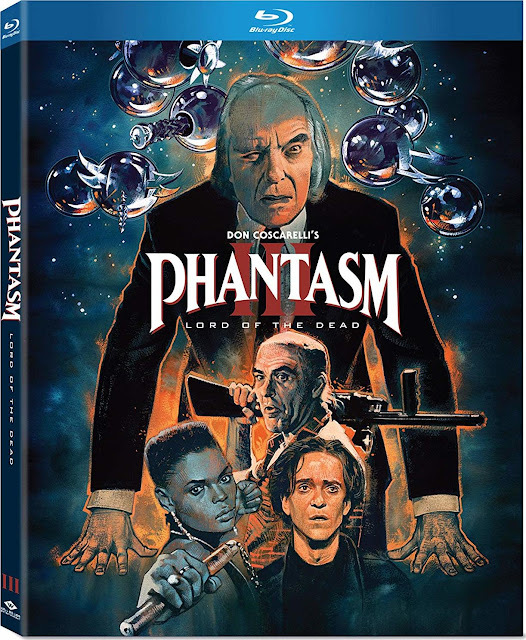 We now have a good look at the artwork for Well Go USA's upcoming standalone Blu-ray releases of Phantasm III and Phantasm Oblivion. Both arriving on September 18, this will be the first time these films have been offered on the format outside of last year's sold-out Phantasm box set. Collector's fret not - these releases will pack none of the incredible supplements found exclusively in that box set. 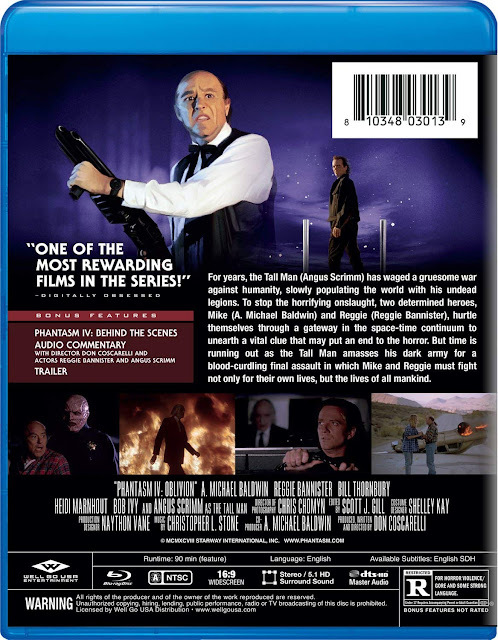 Instead, somewhat strangely, they will feature supplements identical to those found on the old Anchor Bay DVD releases. They won't even contain the newer extras included on last year's economically-priced DVD collection. I'm kind of curious to know what Well Go was thinking with this move? Maybe they weren't thinking. Maybe that's it. While the new airbrushed Phantasm Oblivion cover design is arguably uninspired, it's certainly pretty to look at. The Oblivion art doesn't hold a candle, however, to the outstanding new artwork for Phantasm III. This Blu-ray cover easily bests any poster the third film has ever had. Disc supplements can be found below.